When exporting an image or file to print, there are a few things to consider: What are you trying to print? Are you printing something small like a mailshot, or something large like a billboard? Based on what you are trying to print, you are going to want to use a different level of quality for printing. For example, for mailshots, the quality must be very high since it is something people can hold and see up close and therefore needs to look good and professional. Billboards on the other hand are only viewed from far away, meaning the printing quality can be lower and you can save money on ink. Below, I will discuss the different ways you can vary the quality of your advertisement, as well as how image types and properties affect the final result. DPI – or Dots Per Inch – is a measure of spatial printing. When printers print an image, they do not ‘paint’ in the same way you would with a paintbrush: a printer places thousands of little dots very close to each other which form a bigger image. The DPI denotes the number of dots that can be placed within the space of one inch. For mailshots, brochures and other small sets of printed advertising, the DPI needs to quite high so that you cannot see the white spacing in between dots. However, when printing something like a billboard, since people will only be viewing from a rather large distance away, you can decrease the DPI. Up close, you would be able to see the white space between dots, but from regular viewing distances you would not be able to. You want to try and use the lowest DPI as possible when printing, as it means you’ll be using the least amount of ink possible thus minimising your costs. When designing your advertisement, you will want to decide what type of image to create. The first type you may consider is creating a bitmap, which is an image composed of lots of dots called pixels. Each pixel is assigned a colour, which can form patterns with other pixels to form the overall greater picture. You can create bitmaps on programs such as Adobe Photoshop, or even Microsoft Paint. The advantage to bitmap images is the great freedom you have with the colours you can choose from. However, a major drawback from this could be if you wanted to upscale your image. Doing so would lower the quality of image and make it look ‘pixely’, and unprofessional if you were to hand out such an image. Vectors however are not based on pixel patterns, but rather use mathematical formulae to draw lines and curves. Vector images can be created using a program such as Adobe Illustrator. The advantage to creating an image based on vectors is that if you wanted to upscale the image, the quality would stay the same since the shape is based on mathematical formulae and can be redrawn at any time. The disadvantage to them is that they are quite limiting in the aspect that you cannot add any colour to your image. Creating very intricate shapes is also a lot harder with vectors. 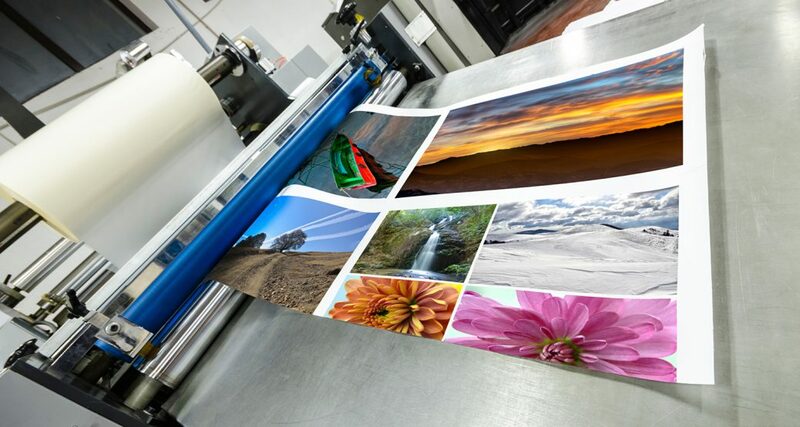 Choosing what DPI to print at, as well as what image type to use can be a bit of a struggle, but once you have sorted it for your image, you can print potentially thousands of copies of your image at their highest possible quality!